After being served an undercooked piece of exotic Bulgarian steak by Aima Wakow, junior at Kennedy and culinary student, celebrity chef Gordon Ramsay demanded the closure of Kennedy’s much celebrated culinary class. Wakow had won Ramsay’s online student cooking competition a month before, taking the top score of 10 out of 20. Ramsay’s visit was simply part of the final scoring, where students are graded on the meal they prepare. The online cooking competition is held once every six years among few of the top high school culinary students in the country. 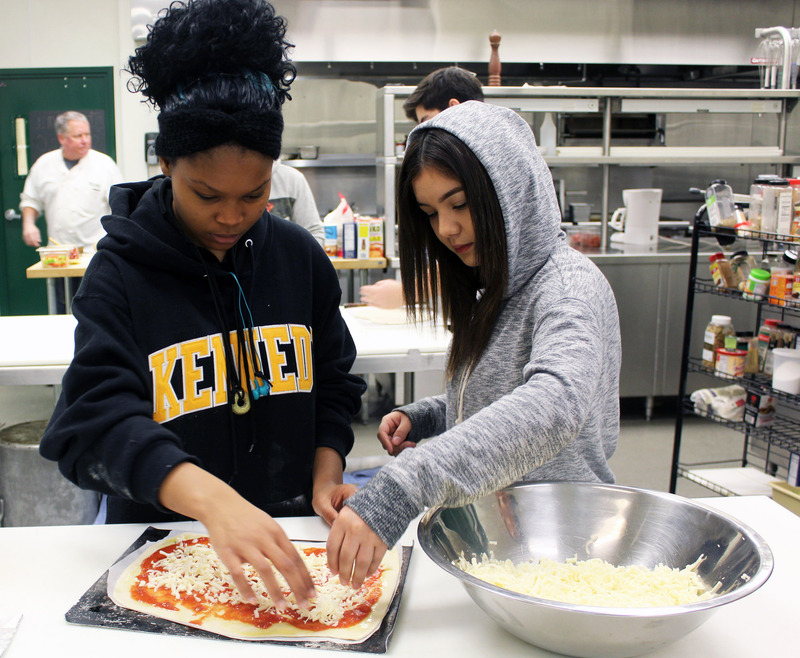 Students are chosen within their culinary classes and are selected out of a chef’s toque by Ramsay. “It was clearly a big deal, and my advisor and the other kids in the class did the right thing to vote for me over everyone else,” said Wakow. More than half of the eight-hour contest was broadcasted over a webcam, where competitors were judged on four categories: presentation of the meal, efficient use of time, knowledge on the purpose of various tools, and the use of different techniques to boil water. Most contestants had forfeited by the fourth hour, although Wakow managed to pull through by using Ramsay’s insults as fuel. “It was a great experience to continuously get yelled at by Gordon Ramsay, it just really gave me the motivation that I needed,” she said. Wakow’s top score in the competition excited many at Kennedy, provoking them to begin immediate preparation for the celebrity chef’s visit. Much time was spent erasing evidence of a possible rat infestation. Carl Cuisinart, senior at Kennedy, said, “Once in a while we would have rats running around here and there, and they’d leave feces and fur all over the place.” He claimed the situation to be worse this time of year because of shedding season. Time was also given to students to develop British accents, although the effort was unappreciated by Ramsay, who found the accent to be insulting and “f*****g ridiculous”. Willoughby McCormick, advisor of the culinary class, recalls the day to have turned out completely bonkers. From the moment of Ramsay’s rant about the smell of rat feces upon entering the classroom to Wakow’s inability to light a grill, “I knew that the class was toast, and not the kind you can eat,” he said. Students and advisors in the culinary class could never have foreseen the possible turn of events that occurred that day, especially one with the celebrity chef walking off campus yelling, “It was f*****g raw! Even my dead gran can cook better than that!” Although the culinary class was banished from existence, students have agreed to continue a culinary club where Wakow is not welcome.